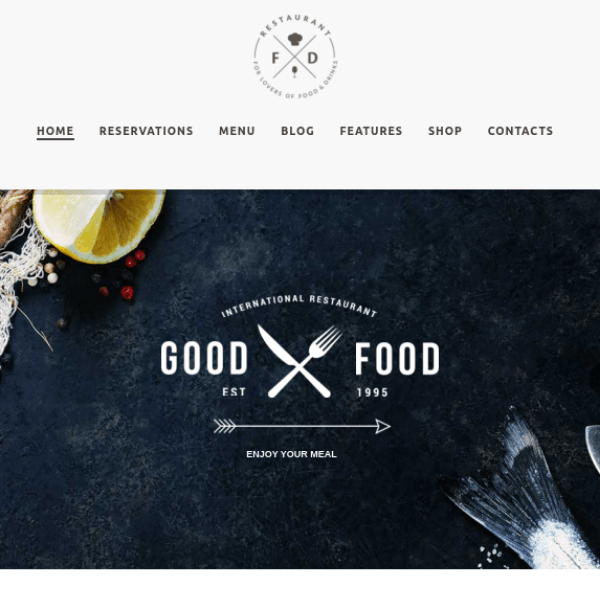 Gusteau – It is a WordPress theme which can be used for the one who want to build some food and restaurant websites or some coffee shops etc. The theme is also suitable for running a diner, a cafe, a bar or any other food related business website. The theme uses responsive design which means that it is capable to work even with the small devices. The theme should be designed in such a way it should have the proper elements such as nice menu for the visitors, great reservation forms, a good contact form for easy communication, etc. The theme is packed with some of the awesome features such as : It uses elegant design and comes with 4 unique homepage layouts. 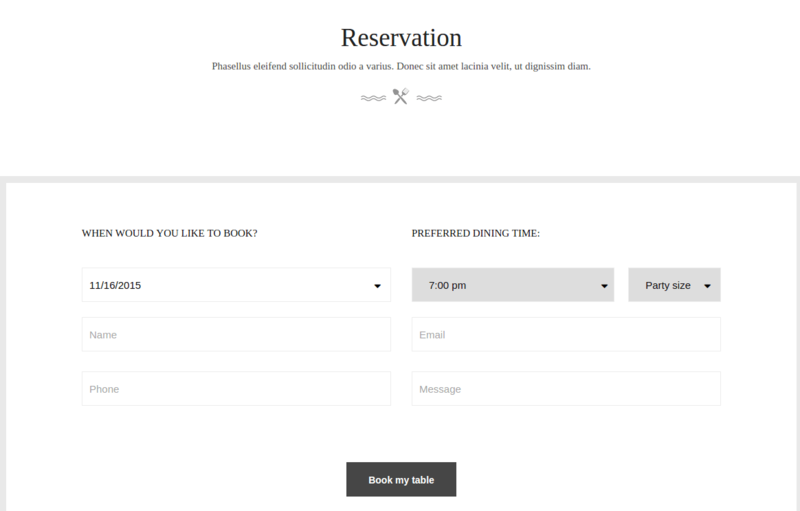 Next, if anyone wants to do reservation they can use the easy reservation management system which is provided by the theme. It allows you to sell the items online as the WooCommerce is integrated with the theme which helps you to sell and deliver food online. Menu plugin is being used by the theme through which it displays the awesome menus with detailed information about all available food with their pictures, galleries and the price which helps users to make the choice easily and to have a delicious food of their own choice. Other features included are : Browser compatibility with all the latest browsers, integration of social medias, contact form 7 support for fast response and communication with the customers and to solve their queries if any. Free support and lifetime updates, various different page templates are used, 519 awesome font icons, 160 simple line icons, 671+ Google font, plus custom font integration. Popular premium plugins are being used by the theme namely : Visual Composer, Slider Revolution, WooCommerce, Contact Form 7, Advanced Custom Field (Pro Version). The most important visual composer plugin allow you to create your designed pages, just you need to drag and drop the elements and your page is ready within minutes. Hence the theme is professional and uses modern solution. From Building Restaurant Websites to Cafes this theme is suitable with all providing you best user experience. I viewed demo of this theme and really found cool. Their front page design just wow me. Moreover this theme allows you to create events and galleries with different layouts. 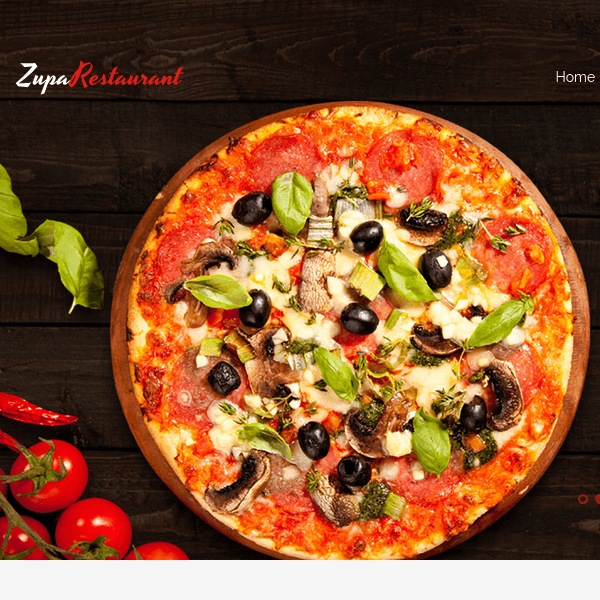 A powerful and Rich Wordpress theme for Food Delivery System. Modern and Interactive design for restaurant and cafe.